After biopics on Bollywood stars, sportsperson and the likes, Bollywood is now planning a biopic on Nobel laureate Mother Teresa. Written and directed by Seema Upadhyay, the film will have a cast of Indian and international actors. It will be produced by Pradeep Sharma, Nitin Manmohan, Girish Johar and Prachi Manmohan. The script for the project has been locked. The technicians and teams are in the process of being finalised, after which the casting will begin for the film to go on floors by the end of this year. The makers are looking at releasing the film in 2020. 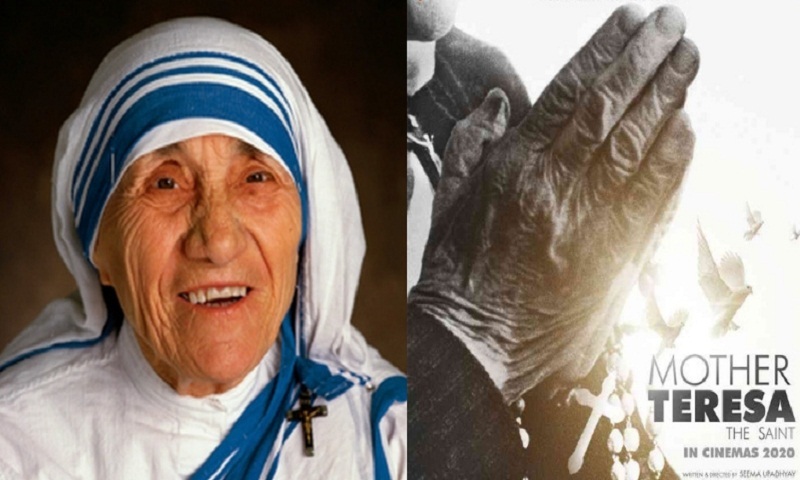 There have been movies on Mother Teresa in the past -- in 2003, there was a documentary, “Mother Teresa of Calcutta” -- made by Fabrizio Costa of Italy; in 1987, Richard Attenborough turned narrator for a documentary on Mother Teresa; and in 1997, the “Mother Teresa: In The Name of God’s Poor” docu-drama was released. In recent times, the 2014 movie “The Letters” explored her life through letters she wrote to her long-time friend and spiritual advisor Father Celeste van Exem over a 50-year period, report Hindustan Times.